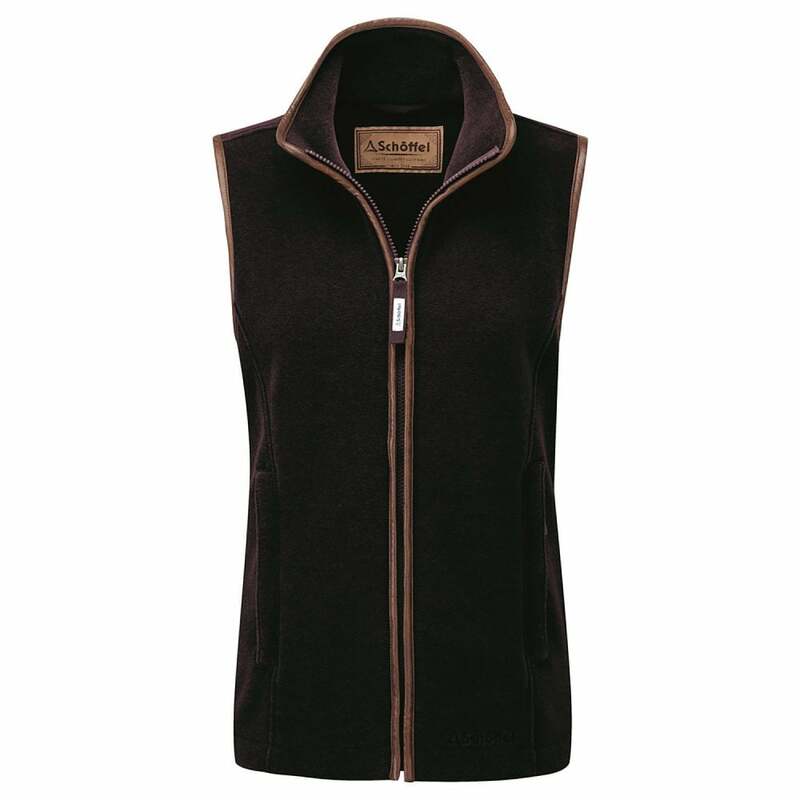 The Schoffel Lyndon II Fleece Gilet is eye-catching, classic and practical made from Polartec Thermal Pro fleece for warmth and excellent heat retention. Fantastic as an outer layer yet sleek enough to slip under a coat or jacket. This quick drying fleece is finished off with alcantara trim with two zip secured pockets to help keep your valuables safe. The half drawcord waist option at the back enables a smart, flattering fit making the Lyndon II Fleece Gilet ideal for those cold days in town or in the countryside.